White House economic adviser Larry Kudlow on Sunday defended President Donald Trump's controversial selections for the Federal Reserve Board, touting their experience and dismissing criticisms that they would be too partisan for the independent board. "I think these criticisms are very unfair," Kudlow told CNN's "State of the Union." 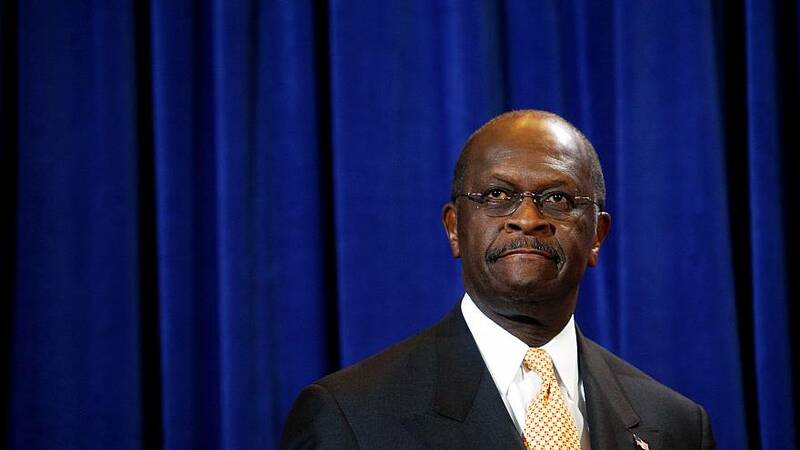 On Thursday, Trump said he recommended Herman Cain, a former pizza company executive and 2012 Republican presidential candidate, for the Federal Reserve Board. Last month, Trump formally nominated Stephen Moore, a conservative economic pundit and former Club for Growth president, to the board. Cain's nomination has not been made official yet as he is going through a background check, although Trump said Friday "i would imagine he would be in great shape." Calling Cain "an outstanding person, a truly outstanding individual," Trump continued, "I would think he would do very well there." Both choices have come under fire. Moore has faced criticism over reports about his back taxes and failing to make alimony paymentsto his ex-wife, in addition to some of his public economic views. Meanwhile, Cain, a GOP presidential candidate in 2012, ended his presidential campaign amid sexual harassment allegations that he has denied. Four women alleged inappropriate sexual behavior during their time at the National Restaurant Association, which Cain ran from 1996 to 1999. Two of the women were reportedly paid a settlement by the trade group. One of the womenaccused Cainof groping her and attempting to force her head toward his lap. Cain vehemently deniedthe allegations at the time. Like Moore, Cain, who joined the Federal Reserve Bank of Kansas City in 1989, later becoming its deputy chairman and then chairman, has had his economic views come under question. Cain posted a video to Facebook on Friday saying the background check he faces would be "more cumbersome" than it would be for most, adding, "You better believe that the people who hate me, who do not like conservatism ... are already digging up the negative stuff that are in stories from eight years ago." Cain acknowledged he might not make it through a nominating process, saying "time will tell." Speaking with "Fox News Sunday," acting White House chief of staff Mick Mulvaney said Cain's nomination was still alive and that he "would be a great member of the Fed." On CNN, Kudlow said both Moore and Cain are "very smart people," adding that it's Trump's right to nominate people with views that clash with Fed consensus. Trump "is very well-informed," Kudlow said. "He's a successful investor. He's a successful businessman. He wants people on the Fed who share his philosophy. This is not a political issue." Federal Reserve Board members serve 14-year terms and must be confirmed by the Senate. Trump has repeatedly criticizedthe Fed for its monetary policies and its stewardship of the economy under Chairman Jerome Powell, whom Trump nominated in November 2017. Regarding Moore, who has said he's on a "steep learning curve" to learn the ins and outs of Fed operations and decision-making, Kudlow said there is "nothing wrong with a little modesty or a little humility." "The president stands behind both of those gentlemen right now," he added.